A look into the headspace of those who are a little…off. 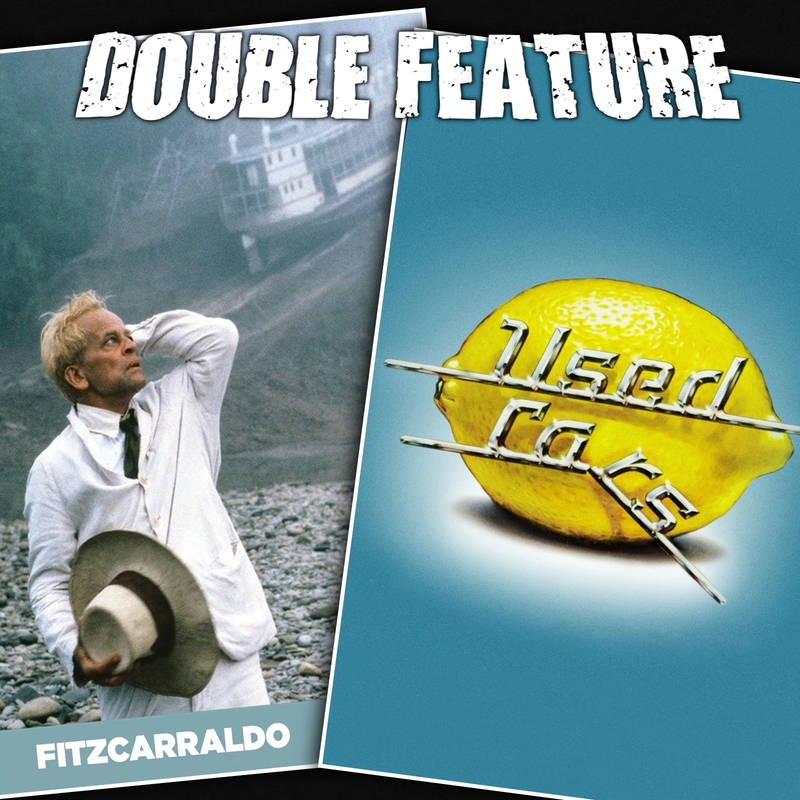 Double Feature releases THE DOUBLE FEATURE MOVIE alongside the Year 9 Kickstarter. Out now! 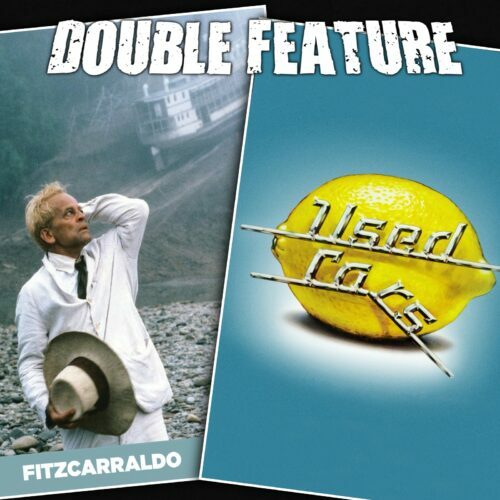 https://doublefeature.fm/kickstarter Fitzcarraldo in the making. Every film is also a documentary of the making of that film. Metaphors that aren’t metaphors. The line between crazy and genius (or, maybe there’s one). Fitzcarraldo could have just eaten a gum ball and avoided this whole mess. Used Cars as a screwball comedy. The time of Robert Zemekis that didn’t get enough breathing room. Getting down and dirty. The cringey feeling of watching screwball comedies (which have all but disappeared) at the height of the politically correctness in the last several decades. Revisiting – was it ok for people in backwards times to think backwards things? Staving off the full transition into socially conservative old person. This entry was posted in All Podcasts, Year 8 and tagged Robert Zemeckis, Werner Herzog. Bookmark the permalink.